WHERE IS THE PUNK IN STEAMPUNK? Roland Yeomans, here: reader, writer, dreamer. Ah, the “punk” would be me. I’ve taken history, sprinkled in bad girls, airships, and villainous former presidents/Civil War Generals – and tossed them like a salad. All done with a strong punkish attitude toward socio-political injustices like V FOR VENDETTA. “If a torpedo (mine) is suspected on any part of the road, order the point to be tested by a carload of prisoners, or by citizens implicated, drawn by a long rope." Or consider President Lincoln ordering the most people hung in a mass execution (38 Dakota Indians). Their crime? Fighting to keep their lands promised them by a prior treaty. They were tried by an illegal tribunal. Though they did not understand English and thus could not defend themselves or even understand the charges against them, they did not receive defence counsel. The punk in Steampunk springs from anarchy and a rebellion against society’s injustice to those who cannot defend themselves. So just what is my first Steampunk novel about? Come aboard the XANADU, the first air-steamship! Experience 1867 in a way history says never existed! Sherman’s bloody march through Georgia never happened. The Great Sioux Nation still exists. Great-souled Samuel McCord, cursed Texas Ranger. Mark Twain, Ralph Waldo Emerson, Horace Greely, Ada Byron, the immortal Lucanus, Margaret Fuller, 11 year old Nikola Tesla. And the twin sister of Meilori Shinseen – Maija Shinseen. Steampunk Disasters were never so much fun! When I write, I often think of my novel as a movie. Here is the tune I imagine playing over the opening credits as the Xanadu sails across a brooding sky towards adventure and mayhem. Check out the blog and you'll see how prolific Roland is, and learn about the haunted jazz club, Meilori's, in old New Orleans on a certain corner. 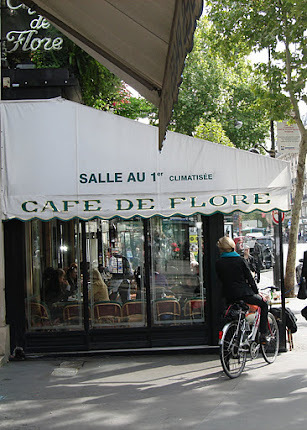 It's a nightclub of changing dimensions and clientelle. Be sure to look for Sam McCord, former Texas Ranger. Have you read any of Roland's novels? Do you have a favorite? Do you like Steampunk tales? Airships? Time travelling characters? Please leave a comment to let me know you were here and either Roland or I will respond. We seem to be getting it all ways - it'd be great if we could rewrite history and do a 'great-souled Sam McCord' .. but then we wouldn't be here and have Roland's wonderful books and ideas to read about. I just got out The Last Sherman to take with me for the weekend ... in fact I'd better go pack .. otherwise I'll be rushing on the drive up to Stratford. It's an interesting idea when we alter history and some stories show what happens when we do that. I like steampunk too, it's a mashup of what was and what might have been. . . Thanks, Hilary, for joining me here. Yes, if we could but go back with the power to change things but we could not change human nature. Sigh. Hilary says she was here, so I will thank her for visiting! :-) D.G. Thanks for having me here and threaten your visitor count! It's not like my visitor count is astronomical, Roland. No worries. I'd like to know how many like steampunk - I suspect a lot do. I love the steampunk look but I've never read any novels. Although looking back on that 90s show, 'Adventures of Brisco County Jr', that was VERY steampunk, before the word was probably even coined. Yes, that show WAS steampunk, wasn't it? I never realized it until you mentioned it. Bruce Campbell should sue! :-) Give my steampunk a chance, will you? Well, here's one of Roland's novel you should try, JoJo. I like the steampunk look too! Those are all rather chilling. 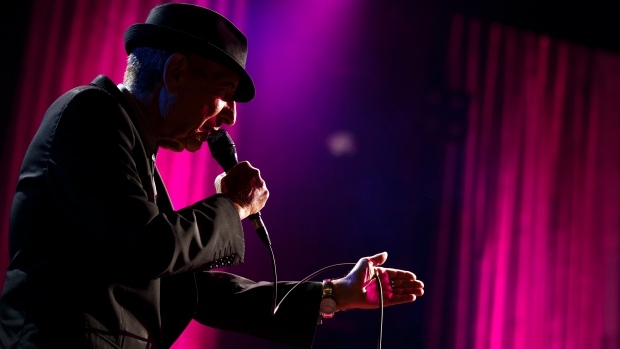 Looking forward to this one, Roland! Mention Sherman, and I have visions of Peachtree Street and Gone with the Wind. . .thanks for visiting Alex! This novel is capturing my imagination too. Steampunk is a wonderful genre. Love your full cover Roland. Thanks for hosting, D.G. 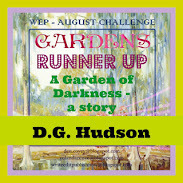 It's my pleasure to highlight books by fellow bloggers, Denise! Well, now I'm all sad. So much for the understanding Lincoln. I like your take on what steampunk is meant to be about. And hi, D.G.! Nice of you to drop by, Shannon. I like Roland's definition of Steampunk too. Lincoln started out kind and compassionate, but his increased bouts with depression, spats with his materialistic, emotionally erratic wife, and a war that bloodied his hands each day -- it all ate away at the man. Thanks for liking my take on Steampunk! 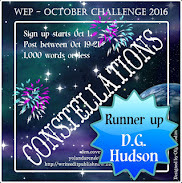 Thanks for hosting me on your own blog. And here I thought Lincoln was some kind, noble father-figure. Just goes to show what history truly remembers. I'll admit, I've never read a steampunk book. I love the idea of steampunk, just never knew where to start. This intrigues me. 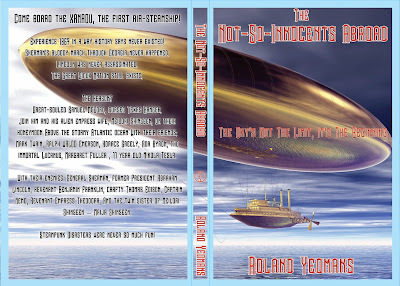 I love that full cover airship, too. Those men like Lincoln who were famous for one thing, can always have a vice on the side. It may be the human flaw. Abigail Adams wrote: "I have met many great men, none of them good." The official story is never wholly true sadly. Go to my book's Amazon page and try its LOOK INSIDE FEATURE to read some sample pages, then utilize the SURPRISE ME link at the end of those pages for yet more pages further on in my book. I think you guys would love the description of the first soaring of the Xanadu into the skies. I don't knwo what Steampunk is, but I do know that I love Roland, his soul, his heart, his writing. The Stars Bleed at Midnight and Hibbs, the Cub With No Clue are my favorite books that he wrote. I haven't read them all. There are so many. So what's Steampunk? I will definitely order this new book. Roland mentioned: "The punk in Steampunk springs from anarchy and a rebellion against society’s injustice to those who cannot defend themselves." I think of it as a mashup between times and cultures.There is some technology, and some antiquated clothes, weapons and ideas. Thanks so much for the kind words, Inger. :-) Like McCord would say, I'm not worthy of such words but thank you for them. D.G. is right about Steampunk. It is a Victorian twist to alternate history with splashes of the future blended into the past to point out the injustices then reflect the ones we still struggle with today. But mostly I tried to have the reader have fun with the tale, and with Mark Twain along, how could it not be fun? Thanks for ordering my book. I hope it brings you a smile or two! Thanks for visiting, Annalisa! Roland is expanding our horizons with more fantastic tales in his universe. Thanks, Roland will be glad about that! 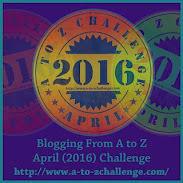 We welcome you to the A to Z Challenge 2016. Thank you for signing up and participating in the world's biggest group of bloggers. We're so excited to have you with us on board. We hope you're all geared up for the challenge. Geets, a member of A-Z co-host AJ Lauer's wHooligan team. This will be my 4th challenge this year, and thanks for the welcome! Maybe alternate histories exist in alternate worlds. At least we have the worlds as depicted in novels. Hope you are experiencing great success with this book, Roland. Glad you're doing the A to Z again, DG. I like the idea of alternate histories, Lee, and alternate worlds. 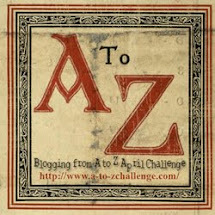 I'll see you at either the BOTBs or the A to Z challenge! Roland will appreciate the good wishes, I'm sure. Your tour is going well, congratulations! Thanks for stopping by to wish Roland well, Yolanda! Too much of history is found in dark corners and under lumpy rugs. 38 Natives hung? Sheridan's perspectives are utterly awful. Unfortunately most conquering cultures will try to eradicate or dilute the cultures from which they are stealing land, gold, and people. Yes, and those 38 didn't even understand the charges against them nor could they speak in their defense if they had! Tragic. Roland will be pleased, Sandra! Thanks for visiting.